Come for the Kirtan… stay for the Soulful Candlelight Slow Flow!! 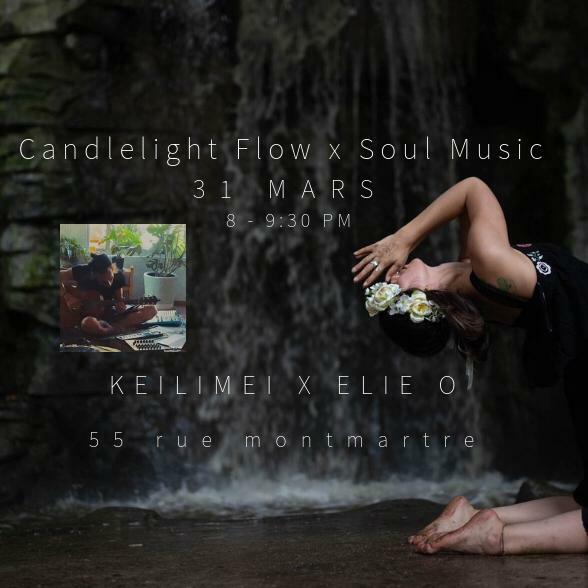 Special Edition tomorrow night with Keilimei Keilimei & Elie O Élie Omeir Full!! Elie Ô is a professional musician, composer and producer, with a unique soulful sound. His continued love for Eastern sounds and philosophy drew Elie Ô to India next, where he embarked on a 2-month musical journey – studying the Indian Sitar with Guru Mukesh Kumar in Rishikesh, and studying traditional Indian philosophy in Udaipur, Rajasthan. Upon his return Elie spent time in Moscow where he discovered the Russian electronic music scene, performing bass and electronic music at some of the cities more eccentric parties. Keilimeilani (Keilimei) grew up in Hawaii and has been practicing yoga since she was 15 years old. She has always been surrounded by passion, movement and music, and brings that energy to every person and space she encounters.